The PPSA applies to virtually all property (other than land) and to transactions that many businesses engage in on a day to day basis. The key with the PPSA is to strictly comply with its requirements, as registering a security interest a day out of time or ticking the wrong box during registration can mean the difference between effectively securing property and leaving yourself unsecured. At Beck Legal, our focus is on delivering practical and effective advice and assistance to ensure you do not fall foul of the PPSA. Our banking and finance team are on the front foot of the changes made to the PPSA and the decisions of the frequent PPSA decisions handed down by the Courts to ensure that you are always getting the best and most current advice. We take a holistic approach to securities, starting by understanding how your business or transaction works in practice. We want to understand what assets you want to secure, why you are securing the assets (for example, are they your assets, or are you securing a loan or payment?) and the timeline. Having a good understanding of what you are looking to achieve enables us to properly advise you as to what we need to do to comply with the PPSA, including the documents and registration requirements. Other situations, such as selling goods on ROT terms or leasing an asset – updating your existing terms/agreements to incorporate security terms compliant with the PPSA. Following entry into the security documents, your security must be registered on the PPSR correctly and within specific timeframes. We often see registrations that are incorrect, whether that be registering the security against the other party’s ABN as opposed to their ACN or incorrectly classifying the assets secured. The timeframes depend on the nature of the security. If you are engaging in any transactions covered by the PPSA, we can help you with the securities side of the matter so you can focus on your business. 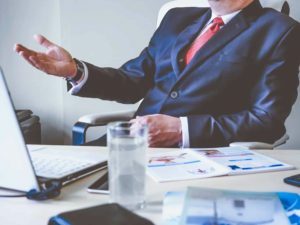 Getting securities wrong can mean you are left unsecured and with no rights to get the relevant assets in the event of the other party’s insolvency, so it is important you are getting the best and most up to date advice from lawyers who have practical experience with securities in your industry. If you would like more information about securities, please get in touch today.